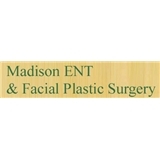 Madison Ent & Facial Plastic Surgery (New York) - Book Appointment Online! Ours is not a typical doctor's office. We work hard to create a supportive environment where patients are treated as active participants in their health care. At Madison ENT our staff is comprised of highly experienced professionals dedicated to your well-being. Our caring staff members support the efforts of Dr. Silvers to provide top quality health care. They will answer your questions and address your concerns, both before and after you meet with the doctor. In our office, you will find a respectful staff that is dedicated to meeting your healthcare needs to the full extent of their abilities. We welcome feedback from patients with suggestions for improvement! Patients are encouraged to verify that Dr. Silvers participates with his/her insurance plan and that all applicable referral requirements, if any, are met prior to scheduling an appointment." She's very attentive and answered all my questions!